The DT38 Charitable Foundation has boosted its coffers by more than £5,000 thanks to the efforts of poker players this week. Crystal Palace footballer Mile Jedinak, F1 presenter Simon Lazenby and a host of top poker talent including James Akenhead, Charles Chattha, Roland de Wolf, Jamie Roberts and Tony Dunst were among the 112 runners who took part in the £100 rebuy event as Aspers. The final six chopped the prize pool, taking £1,000 apiece before donating the rest to the DT38 foundation. 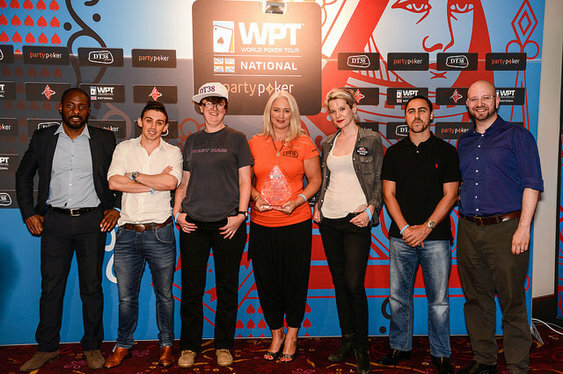 Partypoker’s Director of Poker Jeffrey ‘pokertatsu’ Haas was eventually crowned winner. DT38 was created in honour of young professional footballer Dylan Tombides who died of testicular cancer in April 2014. The charity raises awareness about the disease. “Dylan loved all types of sport and as a family poker is something we have always played - he would have absolutely loved tonight,” said Tracy Tombides, Dylan’s mother and founder of the charity. “Testicular cancer is the number one cause of cancer related deaths in men aged between 15 and 49 and as poker has such a strong male following events like tonight are a great way for us to drive self-awareness and education amongst them”.